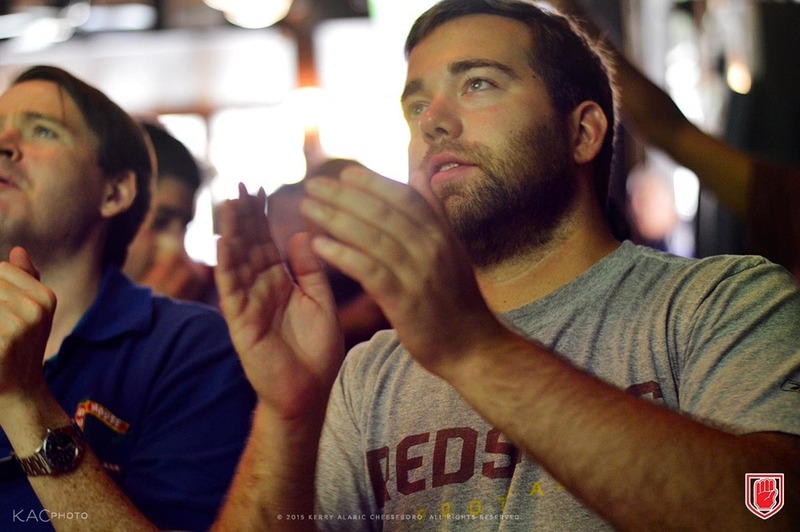 DORRIAN'S RED HAND is the official NYC REDSKINS RALLY venue! 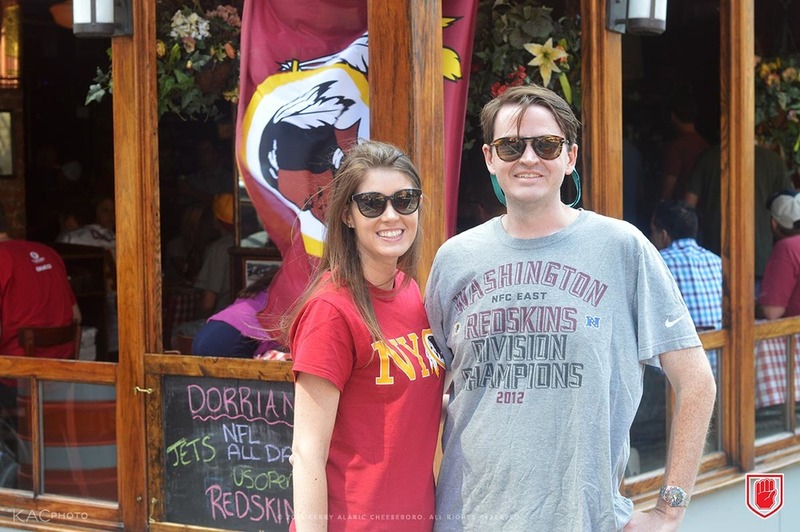 For eleven seasons running, Dorrian's has been the go-to spot for NYC fans of the Washington Redskins to watch their team in action! 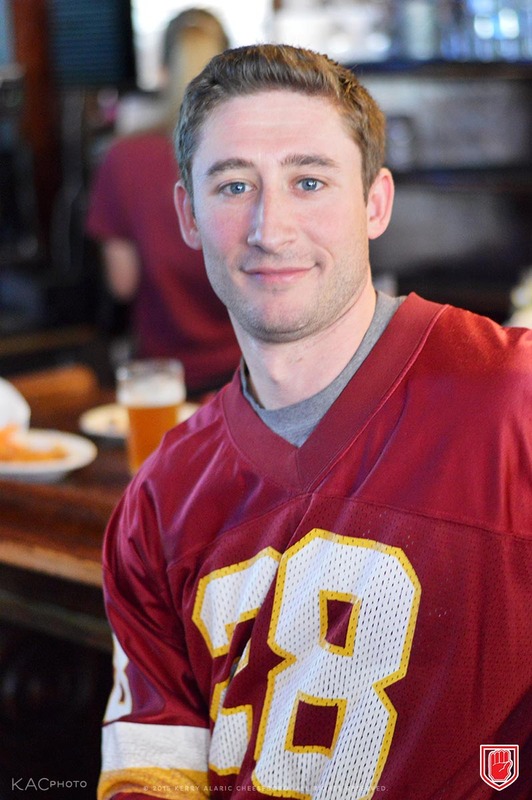 We play each game on our hi-def plasma screens and our 52" hi-def projector screen — in all three sections of our space — playing the Redskins fight song through our house sound system after every touchdown. 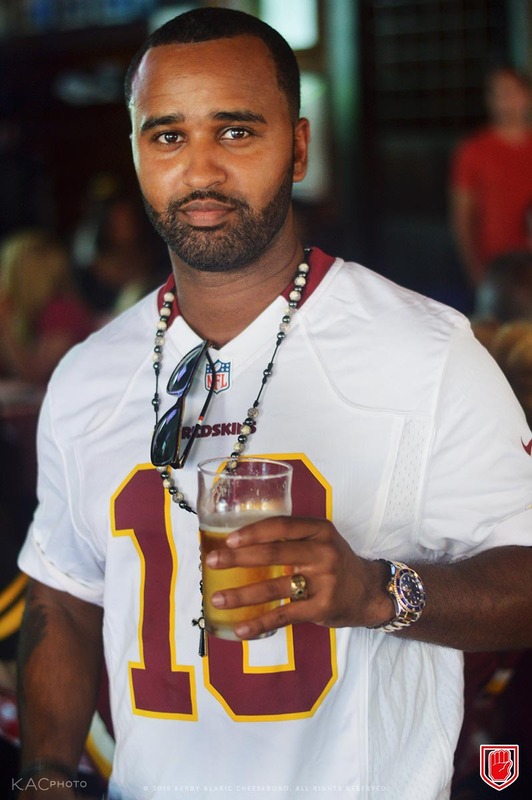 We even offer a customized Redskins menu — with discounted beer specials and Redskins-themed cocktails and shots! 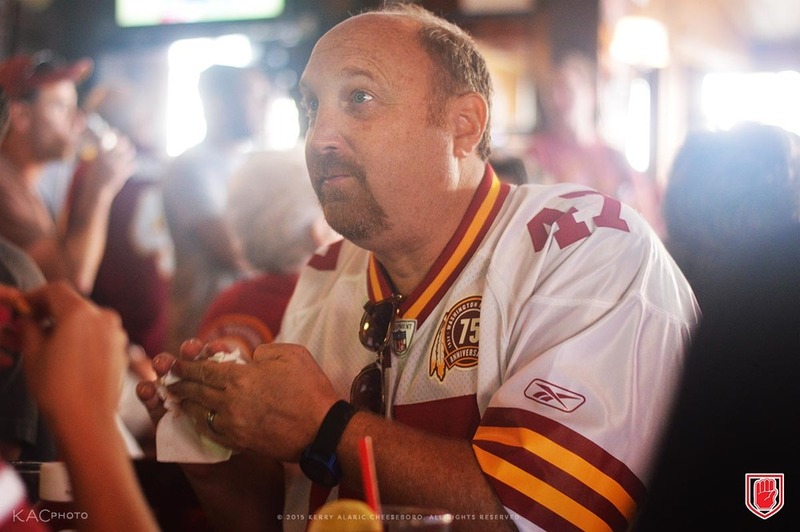 — to make local and newly-transplanted fans feel right at home! 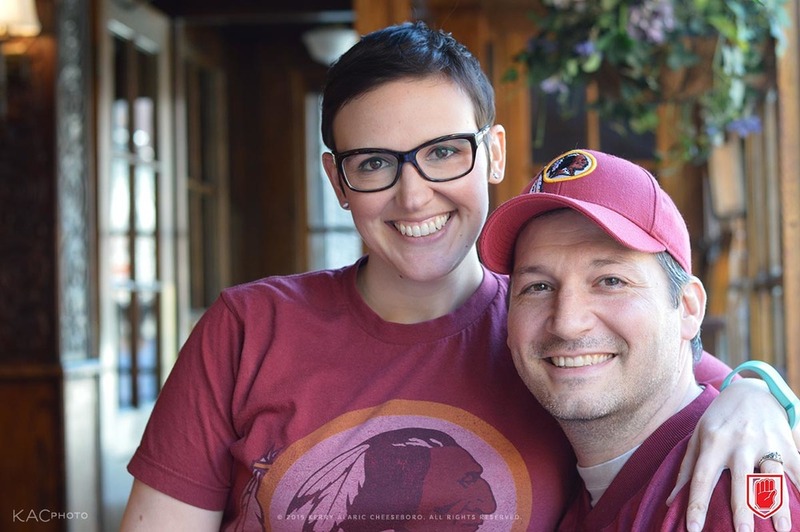 And as a favorite of the Redskins organization, we have held the official (national) Redskins Rally five times in the last four years! 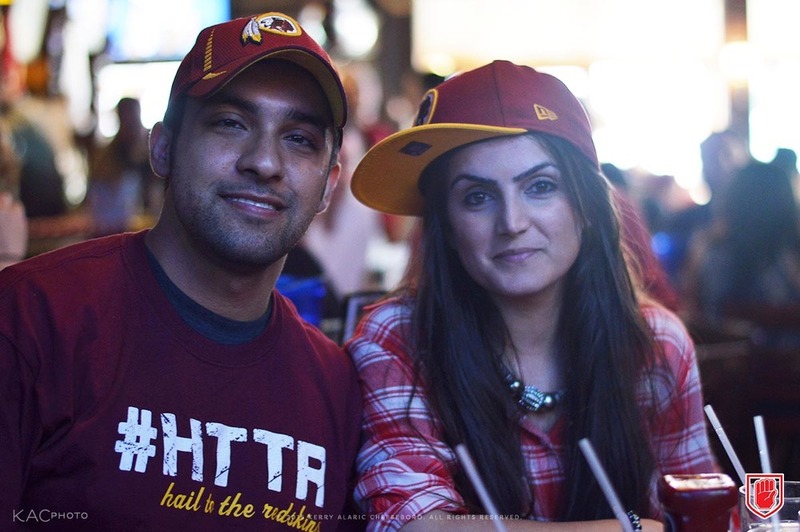 And throughout the season, the support of our fans has impressed the organization enough for us to receive free Redskins swag & merchandise to give to our fans, and our strong social media support of the 'Skins has seen pics and videos of our hosted Redskins games wind up on the FedEx Field Jumbotron during actual gametime. The place gets packed to Standing-Room-Only before kick-off, so come in early to get seating. 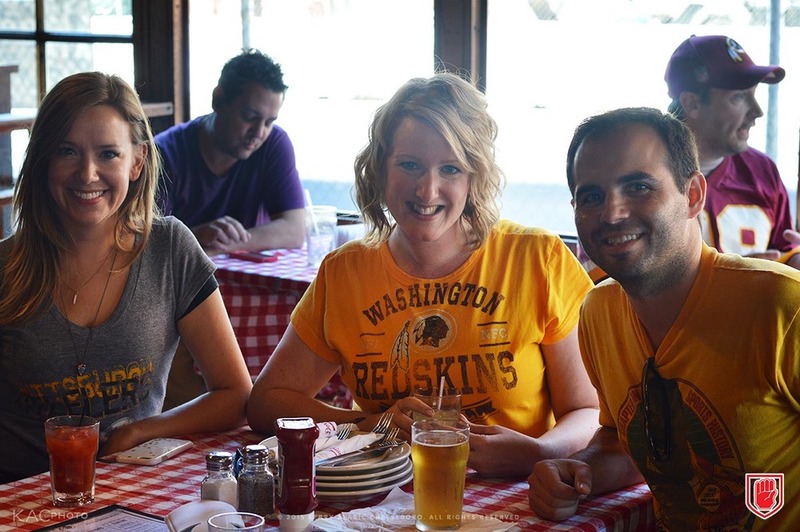 Whet your appetite by checking out the customized special Redskins menu right here online. 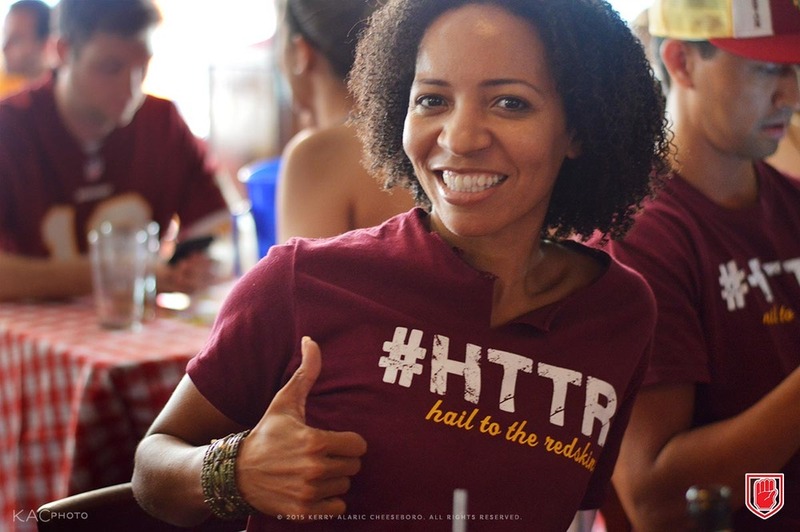 September 24, 2016 — Thanks to all the diehard #Redskins fans — from around the country — who came out for what was our biggest #RedskinsRally to date! 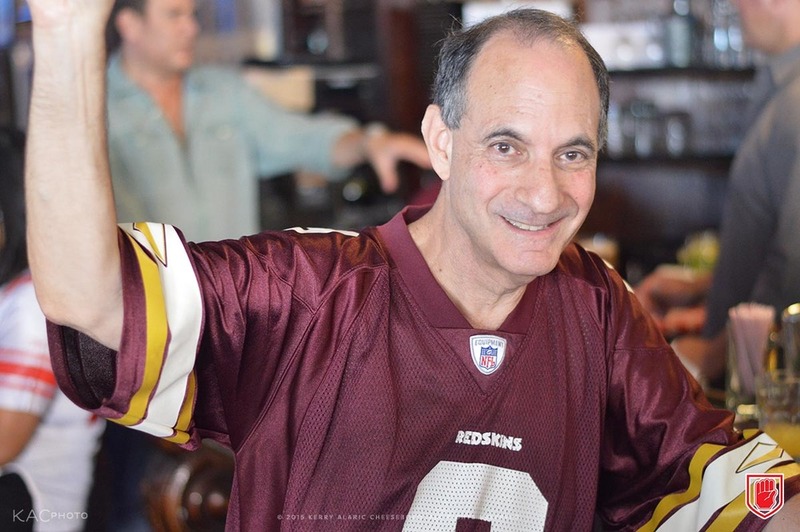 Congrats to all the raffle winners of great prizes, and we want to give thanks as always to the Redskins supporters who have been spending their Redskins seasons with us for 11 years now, and to the wonderful Washington Redskin organization — and the players, past and present — for choosing us yet again to be the official Redskins bar of NYC!